Written for people who are old enough to know who they are, what they want, and what skills they are best at, this guide shows exactly how to build a successful and profitable business. Older people are among the world's most successful entrepreneurs with a wealth of in-depth experience, education, and mature judgment that younger people can't match; they also care more about creating financial security and doing what they want. 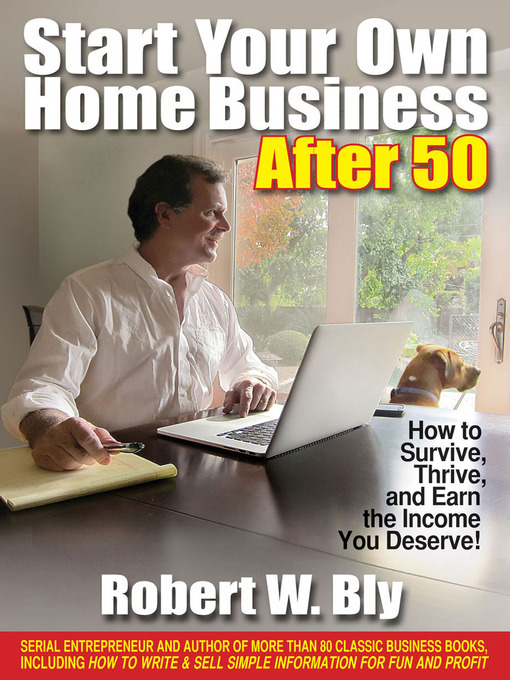 Business consultant and serial entrepreneur Robert Bly teaches how to find the right home business opportunity; determine the target market for that business; sell the right product to the market at a profit; manage the business without wasting time; effectively market the business; comply with all laws, regulations, and taxes for the business; and generate enough income for retirement. Covering every aspect of building a successful business, not just the broad outlines, this book also provides senior-oriented information on computer equipment, the internet, and social media marketing.